Julie Davies O’Shea and Les Perkins were instrumental in developing and bringing the Farmers Screen to market. Nobody wants fish to get stuck in irrigation pipes. Not the public; not the farmers; especially not the fish. But with more than 70,000 irrigation diversions tapping into Oregon’s rivers and streams, the concern is real. Irrigation diversions channel stream water through a series of narrowing pipes, eventually reaching fields through irrigation devices. Until recently, there’s not been an adequate selection of screens to prevent high-gravity and sediment diversions from getting clogged. Diversions on wooded hills required daily maintenance during certain times of the year. After a 1996 flood destroyed many expensive diversions, the Farmers Irrigation District began developing a better screen to protect its investments. In 2006 it patented a new design, the Farmers Screen, and enlisted the Farmers Conservation Alliance (FCA) to champion it. 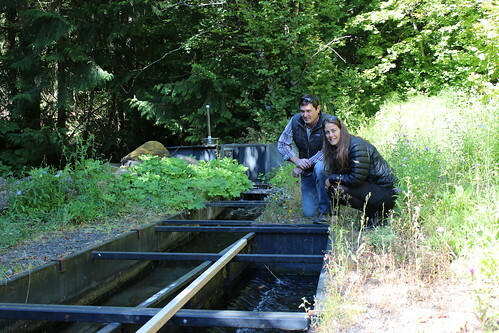 With a clear problem and a promising solution in hand, FCA was awarded a 2007 Conservation Innovation Grant (CIG) from USDA’s Natural Resources Conservation Service (NRCS). The grant was to help them navigate the rough waters between patenting a product and bringing it to market. 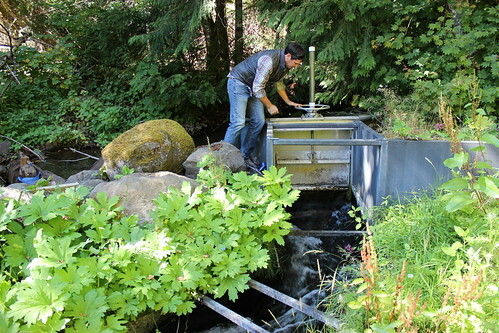 Les Perkins adjusts the flow of water into the Farmers Screen. Developing the right solution wasn’t easy: they had to combine the Farmers Screen technology with infrastructure that’s been in place for almost a century. 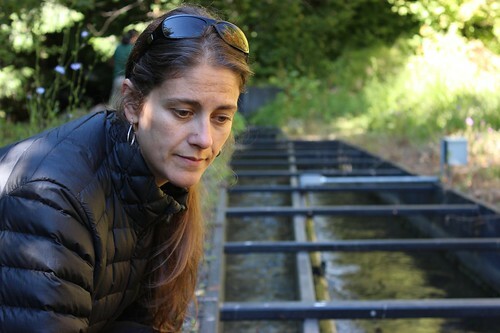 To protect endangered fish, laws require irrigation diversions to be screened. Before the Farmers Screen, irrigators only had a handful of state and federal designs to choose from. Those screens don’t work well in certain situations, leading to expensive annual maintenance and, during the 1996 flood, catastrophic failure. With an approved, marketable design, FCA has been able to build strong relationships with irrigators. This growing network will prove invaluable as FCA continues to introduce irrigation modernization technology. Farmers and fish alike are enjoying the benefits. Les Perkins, manager of the Farmers Irrigation District in Hood River, Oregon said, “The producers in our district love this technology. Now they know they’re going to have water 24/7 all through the irrigation season.” With the Farmers Screen in place, Hood River has laid pipe in the ground and producers have begun updating their irrigation systems. 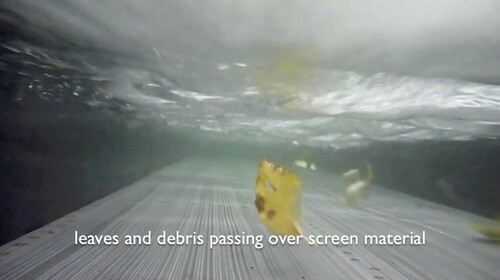 Debris and organic matter pass over the Farmers Screen, rejoining the stream on the other side.